When you need to clear a campsite, get your car out of a snow bank or dig a hole, you need a sturdy shovel that will will easily get the job done. 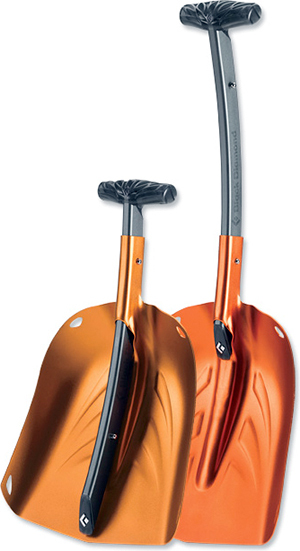 The Black Diamond Deploy Shovel ($70) has a business end with a tough, lightweight aluminum construction, a flat bottom and steep sides. The handle is uniquely shaped and collapsible making it easy to carry and store.